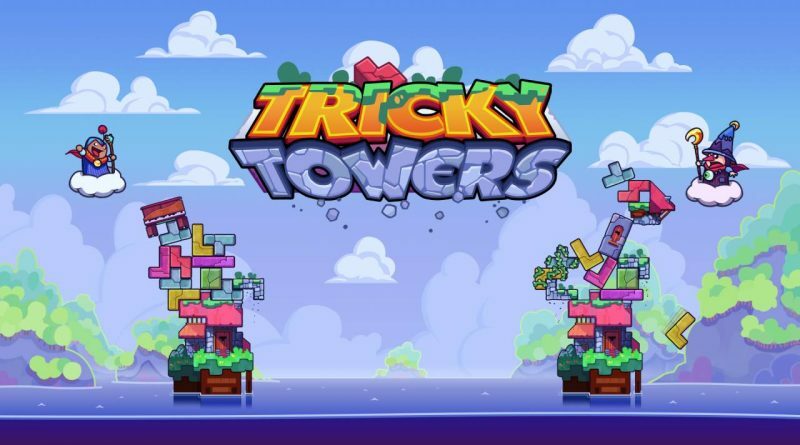 WeirdBeard Games today announced that their magical block stacking puzzle game Tricky Towers will be coming to Nintendo Switch on October 11, 2018 for €14.99. Pre-orders will be available on the Nintendo eShop with a 20% discount. All free and paid DLC will also be available at launch. So be sure to bring your wizard’s safety hat and start stacking and tumbling. Conjure up your wizard’s tower: cleverly stack your summoned blocks and use over 17 different spells to build the trickiest tower! Undermine your rivals: use dark spells to hamper or even push over your competitors’ towers, but beware – they can use these spells on you as well! Match your wizardry online: play with up to 4 players locally or online in one of the 3 game modes available – survival, race and puzzle. Become the archwizard: climb up the leaderboard and see how you rank among your peers.